Marla Mohr, Certfied Corporate Wellness Specialist with BIS Benefits, equips organizations with the tools and knowledge to provide increased employee productivity, lower healthcare costs and a better bottom line through greater employee health management. At BIS Benefits, we value our clients and want their employees to have every opportunity to maintain and improve their health. 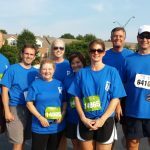 This approach is a reflection of our vision statement which describes our desire to establish a healthier work environment and managed costs for our clients. Therefore, our Account Managers and Client Services Team work together with our Certified Corporate Wellness Specialist, Marla Mohr, to offer value-added and customized wellness services. In a time of rising healthcare and insurance costs, one way BIS Benefits can help get the best value from insurance carriers is by implementing a wellness program that uniquely fits the needs, culture and desires of the client. Promoting a healthy lifestyle by incorporating wellness initiatives is a proven way companies can increase employee engagement, reduce absenteeism and reduce healthcare costs. The Cobbler’s Kids have Shoes! 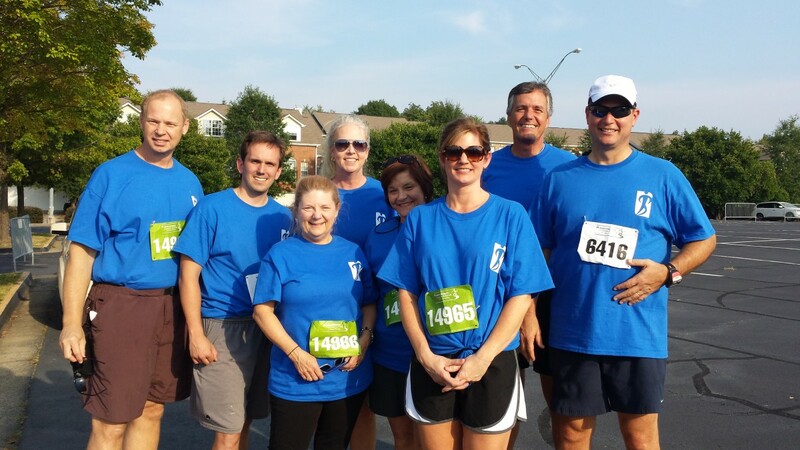 We don’t just talk Employee Wellness, we practice it. Adhering to one of our Core Values, we value, recognize and appreciate each employee as an integral part of our team. This means implementing an Employee Wellness Plan for our team. What does this look like? It may look like learning from experts on nutrition or stress. It may look like employees purposefully parking in the far corners of the parking lot or taking the stairs to increase daily activity. Sometimes it looks like afternoon stretch breaks, competitive water challenges, wearing pedometers or regularly disinfecting workstations. In the fall, it may look like flu shots or earning a new pair of athletic shoes. All year long it looks like partial reimbursement for gym memberships and fewer doughnuts, cupcakes, hamburgers, French fries and sugary drinks in the break room. It looks like encouragement to use the EAP and medical benefits for preventive care and annual physicals. Best of all, it looks like “lifestyle change”–both in our offices and away from the job. 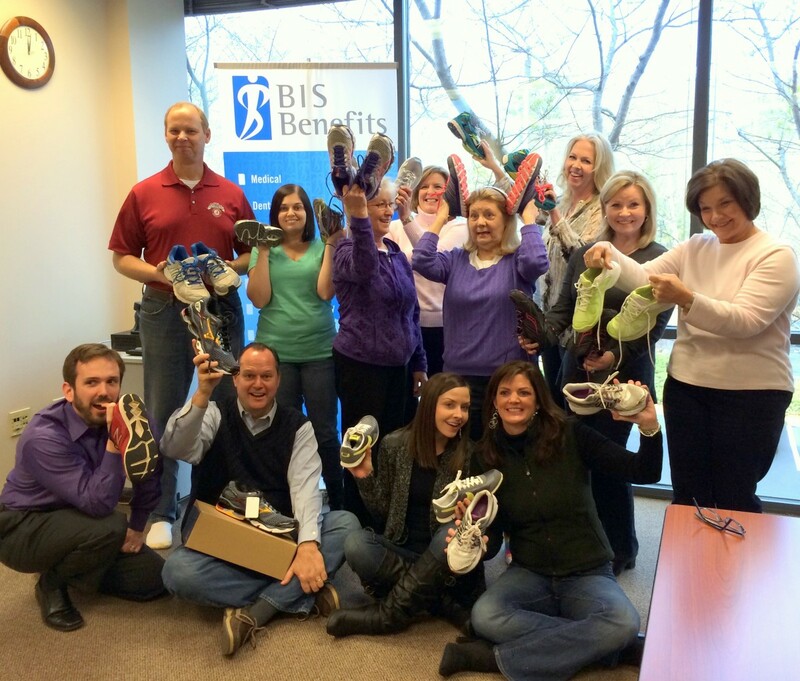 BIS Benefits employees celebrate new fitness shoes earned through participation in wellness events throughout the year.